I decided to flip through the school newspaper for the first time in... pretty much ever while waiting for my friend the other day. There was an article about how 3OH!3 was going to come perform at our school. Well naturally, I flipped out and ran around shouting it at the top of my lungs for a while. I saw them in concert last year, and it was incredibly fun. ... And then I realized I was reading the April 1st issue. Apparently, they publish newspapers early nowadays. Aaaaaand I'm incredibly gullible. That is the LAST time I read our school newspaper. Bitterface. "Louboutin shoes, she got too much pride. Her feet are killin' her. I call it shoe-icide." Did I mention how much I loved Shareen of Vintage Mavens before? Because I love her even more now. How cool is it that one of my idols just put my picture on her blog?! Happy dance time. By the way, I'm going to be picking the winner of my giveaway at the end of month, so you still have a few more days to enter! Now I don't usually dress very tough because well, I look like a tween... but sometimes, you just gotta let your inner BAMF out. I recently purchased a dress from Vintage Mavens, which is a cute online vintage store run by Shareen. 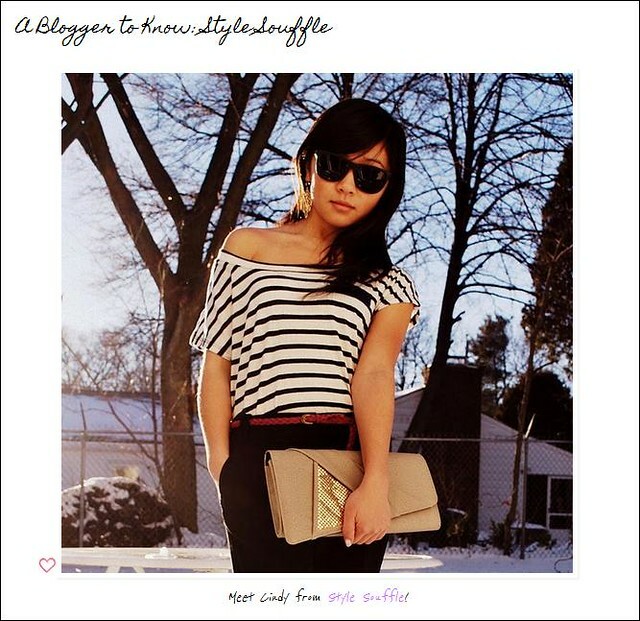 She is one of the fashion bloggers who inspires me the most; I pretty much aspire to BE her. 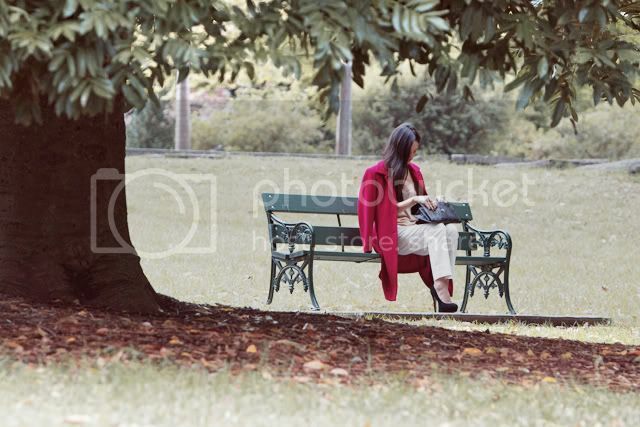 She's so beautiful and her photos are breath-taking. 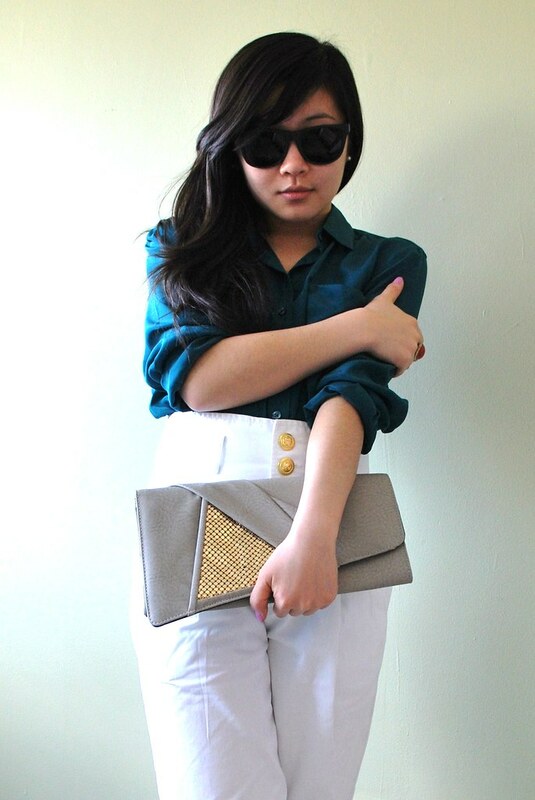 Since I'm on this topic, I might as well mention that my other favorite blogger is Nicole of Gary Pepper Vintage. Again, gorgeous girl, beautiful photography, just straight up amazing. She also runs an online vintage store. Come to think of it, these two bloggers are very similar in many ways. Ultimately, that's the direction I want to head in, and I would love to follow in their footsteps. Right, so the point of this post was to show you guys the dress I got from Vintage Mavens, and here it is! 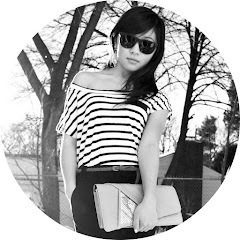 The lovely Erica of In the Light of Style has chosen me to be her first featured blogger! I feel incredibly honored and flattered. She had so many sweet things to say about my blog. If you so choose to learn more about my super wild and crazy life (sarcasm intended), I copied and pasted the interview here as well. 1. When & why did you first start blogging? I started blogging on the first day of February, so around 2 months ago. I came across the 30 for 30 challenge from Kendi Everyday's blog, and I realized that I had a truckload of impulse buys that I never wear. I made myself wear only those items for a month and took a picture every morning of the different outfits I could think of. That's pretty much how the rock got rolling, and it's been downhill from there. 2. Where do you go to school and what are you studying? I go to school at a prestigious little university in Massachusetts. I'll keep this a mystery, and you can all try to guess what school it is. A hint is that not many people have heard of it, but it's a Top 30 school. I'm studying Biology and Public Health on the pre-medical track, so I'm pretty much a huge science nerd. 3. What is your ultimate fashion goal? My ultimate fashion goal is to become a successful fashion blogger as a side job. I would absolutely love to be a professional blogger, but I'm pretty sure my parents would disown me if I wasn't a doctor. As surprisingly time-consuming as blogging is, I'm going to try my best to keep it up through my future schooling and career. Come on, who doesn't want a stylish doctor? Imagine reading your doctor's fashion blog... Haha, that would be interesting. 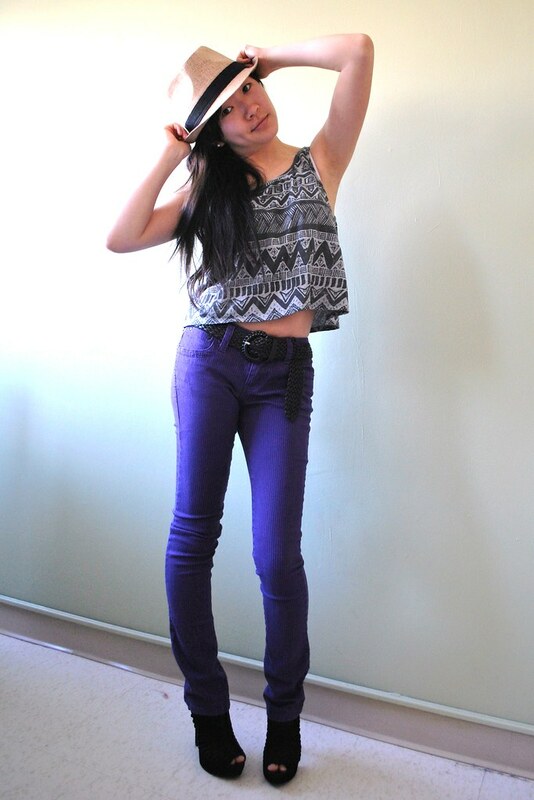 I spend most of my free time blogging and going on photo shoots now. 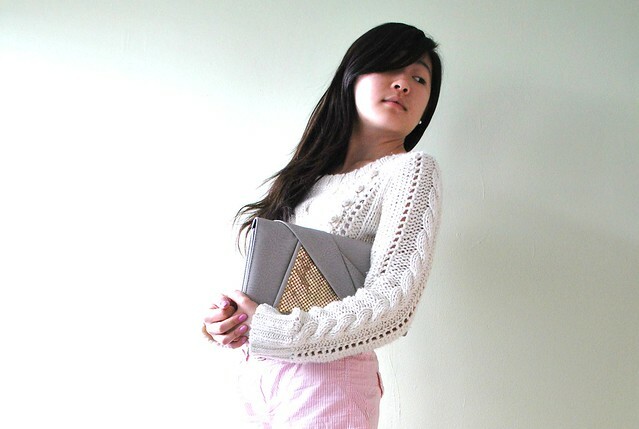 If I'm not studying organic chemistry, I'm blogging. But I can usually squeeze in some time to goof off with my friends, who are incredibly supportive of my new blogging hobby. One of my best friends and I are practically Siamese twins joined at the hip; it's a rare phenomenon to discover one without the other. The two of us are always laughing our butts off at stupid things on the internet like memes (if anyone knows what they are) and hilarious viral videos. Favorite animal, hands down: rabbits. I think they're the most adorable animals to ever exist. I have a pet bunny at home named Nicholas, and I love him to ridiculous amounts. The only problem is that rabbits don't like to be picked up because it's evolutionary disadvantageous since usually, it means they're about to be eaten by a hawk or something. It's near impossible to pick him up and cuddle him, he puts up the biggest fight. He's really nice about letting you pet him while he's in his cage, but the second you let him out to run around, he's like, "YES I'M FREE BABY! Yo, don't touch me." When I woke up this morning (aka afternoon), I was pleased to find that I'd been chosen to be featured in a segment called A Blogger to Know. I love how interviews make you feel important. When that goes up on Erica's blog, I'll be sure to link you guys.